The Martinez Academy of Arms is a unique school distinguished by its living tradition of European fencing arts. The structure of the Academy reflects the ideals of 19th Century classical fencing academies. Entering the Academy, one steps into another era where students not only exhibit a serious dedication to the practice of fencing as both an art and science but also carry themselves with a polished level of etiquette and sensibility. Training remains focused on personal combat, as if one were preparing for a serious encounter. 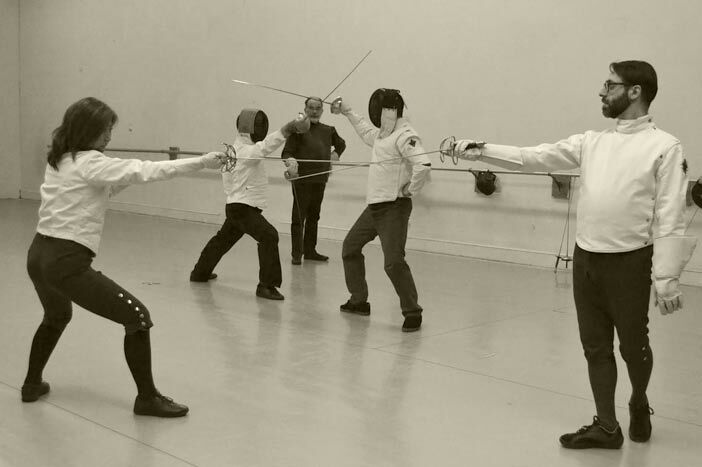 In this formally rigorous environment, students receive instruction in classical and historical fencing systems from dedicated professionals of a traditional fencing lineage.